Fans had to wait till the final 15 minutes for the Black Panthers to get their winner. Mohammedan Sporting Club beat Rainbow Athletic Club 1-0 to record their second win of the ongoing 2018/19 Calcutta Premier Division ‘A’ on Saturday. The game was hardly something to write home about, as the lacklustre performance between both teams resulted in spectators booing in an effort to get some action. In the end, fans would have to wait for the final 15 minutes of the match before substitute Sumit Das’ goal helped Black Panthers claim all three points at the Barasat Stadium. Going into the match, Mohammedan SC head coach Sudip Sarkar made two changes from the previous match by handing starts to Rahul KP and Rakesh Karmakar at the expense of Dipendu Dowary and Jewel Raja. Mohammedan SC began the game in attacking mode and created a couple of close chances early on. While striker Princewill Emeka did well to get into spaces, the Nigerian lacked the killer finish in the rival box. As the half progressed, the Black Panthers continued dominating the possession. 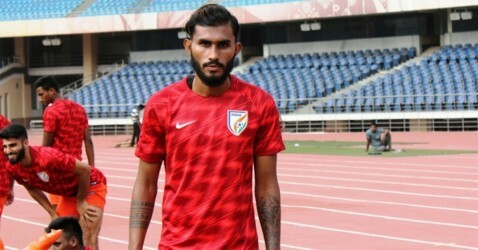 On the other hand, Rainbow AC defended deep and had their custodian Dibeyndu Sarkar to thank after he denied Prosenjit Chakraborty, Princewill, and Rahul on multiple occasions as both sides went into the breather tied at goalless. Needing a goal, Mohammedan SC came out all guns blazing in the second half as they attacked by pushing high up. However, once again it was the lack of finishing that let them down. Having created numerous half chances, Mohammedan SC went extremely close on two occasions midway through the second half. First, it was Rahul whose attempt was close range was denied by Dibyendu after being set up by Satyam Sharma in the 62nd minute. Then the rival custodian followed it up with another save four minutes later, this time to block Princewill who smashed a powerful low drive eight yards outside the box. 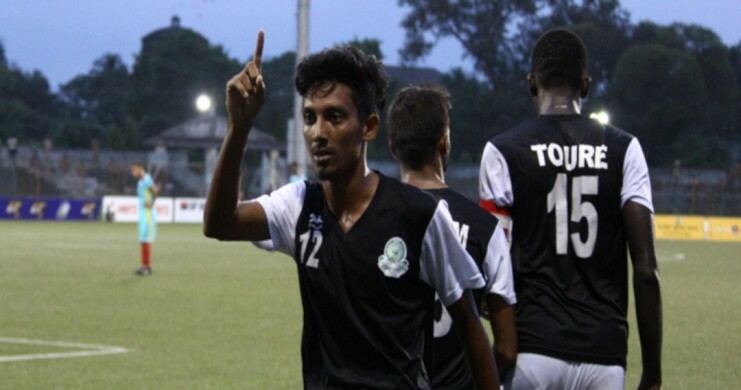 Mohammedan SC’s attack clicked into a higher gear after coach Sudip Sarkar introduced Sumit in the 65th minute replacing Prosenjit Chakraborty. The pressure paid off as Mohammedan SC finally broke the deadlock in the 75th minute. Bazie Armand held off a defender on the left and floated in a cross to the far post finding Sumit who converted with a volley to put Mohammedan SC 1-0 up. Having taken the lead, Mohammedan SC got a much-needed confidence boost and they increased their pressure up front dominating the game entirely. Despite creating numerous scoring opportunities in the final quarter, once again it was lack of finishing that prevented a bigger scoreline as the game ended 1-0 in Mohammedan SC’s favour. Having earned three points Mohammedan SC moved up to second in the standings ahead of East Bengal with 6 points from 3 matches and will take on George Telegraph next on August 17, 2018.